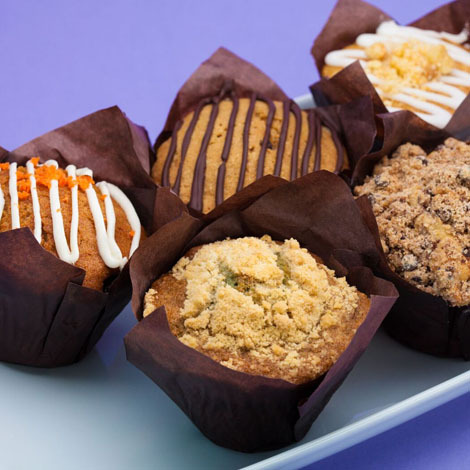 Not just your average breakfast fare, our muffins are peanut free, sesame seed free, tree nut free, and dairy free, and made with the finest ingredients. Wholesome in nature, plentiful in your tummy, and big enough to share with friends (if you choose to). Come with 6 in a box. All orders must be placed 3 days prior to desired delivery date. An associate will contact you with your order confirmation. For delivery information, please contact us.